Geomarine Research specialises in the study of modern foraminifera in the marine environment around New Zealand and the South-west Pacific, and the use of fossil foraminifera: to document the impact of humans on the coastal marine environment; to document the Holocene history of earthquake displacements around New Zealand; to document accelerated late Holocene sea-level rise around New Zealand; to investigate the Quaternary paleoclimate and paleoceanography; and to reconstruct the paleoecology and paleogeography of Cenozoic sedimentary basins, important in prospecting for hydrocarbon resources. Geomarine Research also researches late Holocene and modern ostracods of northern New Zealand; and undertakes surveys of the biodiversity and ecology of intertidal and shallow marine benthic communities around northern New Zealand. We promote public understanding of the geology of Auckland and Northland. We curate the Geopreservation Inventory and promote earth science conservation in New Zealand. 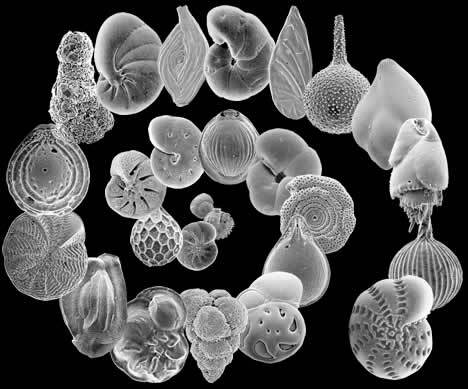 The small size and great abundance of foraminifera (microscopic shell-bearing Protozoa) in modern and ancient marine sediments has resulted in their becoming the most useful fossils for determining the age and depositional environments of New Zealand's abundant Cenozoic sedimentary rocks. Their preservable shell and abundance, also make foraminifera of immense potential value in documenting human-induced changes in coastal marine environments, and for on-going monitoring of improvements or deteriorations in the health of estuarine and sheltered harbour ecosystems. 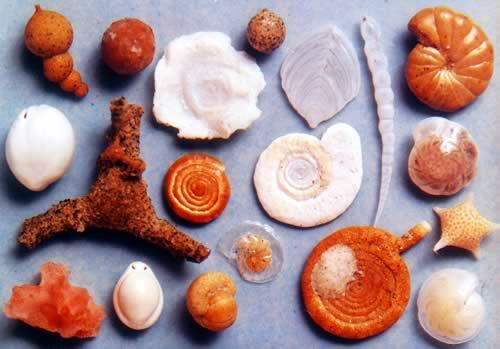 Studies that relate the distribution of living foraminiferal faunas to environmental influences (e.g. salinity, nutrient levels, tidal elevation, water depth, heavy metal pollution, oxygen concentrations, etc) are being undertaken by us for use in determining past environmental conditions and for understanding modern ecosystem changes. This environmental data underpins a variety of geological and marine studies including record and prediction of climate change, recent sea-level rise, earthquake frequency and magnitude, human-induced changes in sediment, pollution and freshwater run-off into estuaries and harbours, sedimentary basin analysis, hydrocarbon and mineral exploration, and geological mapping.